Elana Bowsher, Katherine Bradford, Sarah Braman, Edgar Bryan, Ross Caliendo, Josh Callaghan, Andrew Cannon, Sara Clendening, James Benjamin Franklin, Daniel Ingroff, Tyree Guyton, Gavin Kenyon, Sadie Laska, Nevine Mahmoud, Robert Nava, Tyson Reeder, Scott Reeder, Adrianne Rubenstein, Rachelle Sawatsky, Alake Shilling, Vaughn Spann, Rachel Eulena Williams, Wallace Whitney, and Zadie Xa. NIGHT GALLERY, 2276 East 16th Street, downtown Los Angeles. Top: James Benjamin Franklin, Light in the Shadows, 2018. 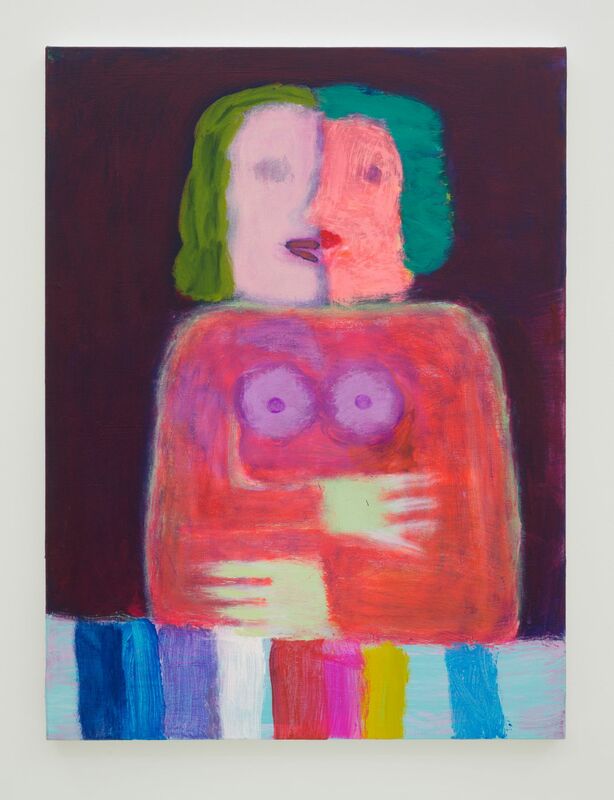 Above: Katherine Bradford, Girlfriends, 2018. Below: Sara Clendening, Recidivist Infringers, 2018. This entry was posted in ART and tagged Adrianne Rubenstein, Alake Shilling, Andrew Cannon, Daniel Ingroff, Edgar Bryan, Elana Bowsher, Gavin Kenyon, James Benjamin Franklin, Josh Callaghan, Katherine Bradford, Nevine Mahmoud, NIGHT GALLERY, Rachel Eulena Williams, Rachelle Sawatsky, Robert Nava, Ross Caliendo, Sadie Laska, Sara Clendening, Sarah Braman, Scott Reeder, Tyree Guyton, Tyson Reeder, Vaughn Spann, Wallace Whitney, Zadie Xa on July 30th, 2018 by Barlo Perry. 2276 East 16th Street Los Angeles. Top: Mira Dancy, High Hell, 2017. Above: Mira Dancy, Blue Dam, 2017. Below: Mira Dancy, Cardinal Red, 2017. Images courtesy the artist and Night Gallery. This entry was posted in ART and tagged Andrew Berardini, George Grosz, James Ensor, Mira Dancy, NIGHT GALLERY on January 18th, 2018 by Barlo Perry. Henry Taylor gave Grant Levy-Lucero his first show—at Taylor’s 3rd. Street studio/gallery in Los Angeles. 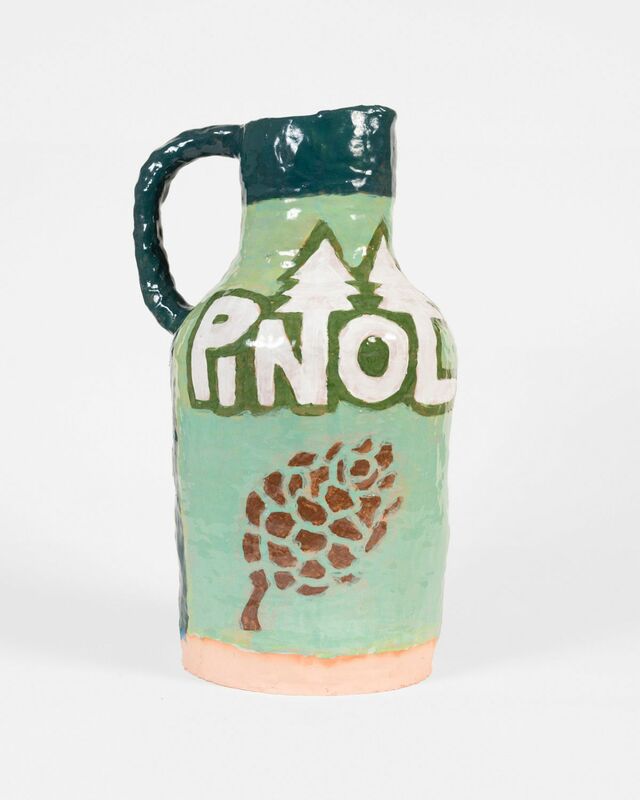 For his current Night Gallery exhibition, Levy-Lucero has since shifted from textile works to pottery. 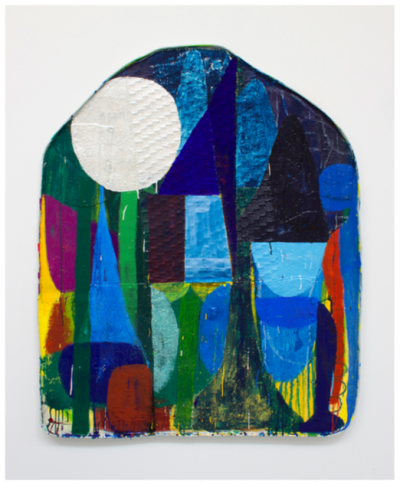 GRANT LEVY-LUCERO—CENTRAL, through January 13. NIGHT GALLERY, 2276 East 16th Street Los Angeles. Grant Levy-Lucero in his studio. Grant Levy-Lucero, Tony’s Hardware Discount, Pinol, 2017. This entry was posted in ART and tagged Grant Levy-Lucero, Henry Taylor, NIGHT GALLERY on December 29th, 2017 by Barlo Perry. WANDA KOOP—IN ABSENTIA, through November 18. 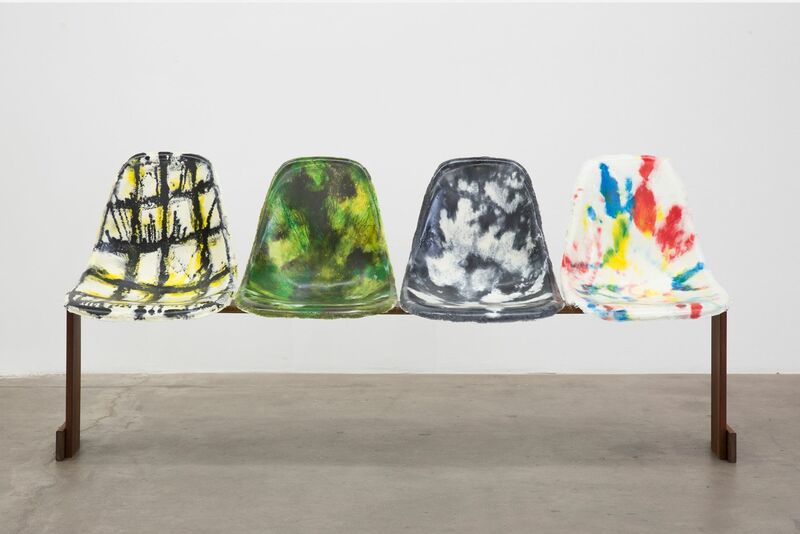 From top: Wanda Koop, In Absentia (Ivory—Deep Purple), 2017; In Absentia (Pure Red—White—Black), 2017; In Absentia (Sky Blue—Luminous Green), 2017; In Absentia (Orange Yellow Ivory—Blue), 2017; In Absentia (Smalt Blue—Violet—Luminous Red—Sky Blue), 2017. Image credit: Wanda Koop and Night Gallery. This entry was posted in ART and tagged NIGHT GALLERY, Wanda Koop on October 29th, 2017 by Barlo Perry. Stop by the Night Gallery for the last week of this powerful show. NIGHT GALLERY, 2276 East 16th Street, Los Angeles. Awol Erizku, The Pig is Afraid of the Black Man. He Strikes Out Against Little Children, 2017. Awol Erizku, The Black Man in Africa Mad Strong Warriors and Beautiful Cities, 2017. Image credit: Awol Erizku and Night Gallery. This entry was posted in ART and tagged Awol Erizku, NIGHT GALLERY on October 1st, 2017 by Barlo Perry.